Description: 8 cyl. Stainless steel with nut. 1-1/2" long. No tip. Sold each. Description: Exhaust manifold stud, sold each. Stainless steel with nut. 2-1/2" long. No tip. 8 cyl., left side. 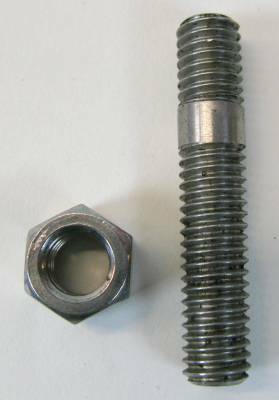 Description: Exhaust manifold stud, sold each. Stainless steel with nut. 2-1/2" long with tip. 8 cyl. left side. 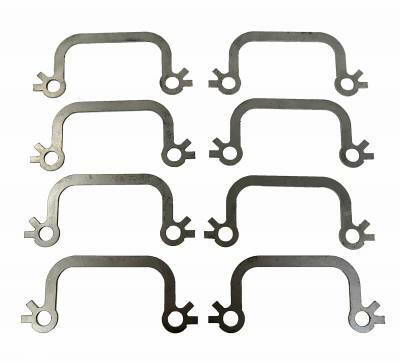 Description: Exhaust manifold stud stainless steel, right side manifold. Passenger's side. 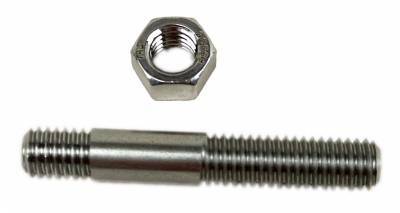 Stainless steel bolt and nut used with heat riser or spacer. Used with 8 cyl. 332-352-390 and 427.